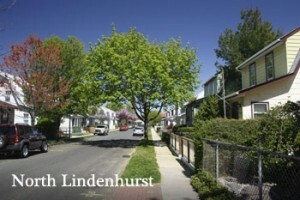 North Lindenhurst was mostly undeveloped before World War II. In the mid-1930s, the “Hundred Homes” housing development began. North Lindenhurst is a family friendly area in Suffolk County. There are several parks within the area including Laurel Road Ball Field, Dorner Park, and the North Lindenhurst Park and Pool.